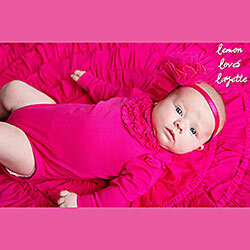 The Lemon Loves Layette "Julia" baby gown in hot pink is just lovely for spring and summer. 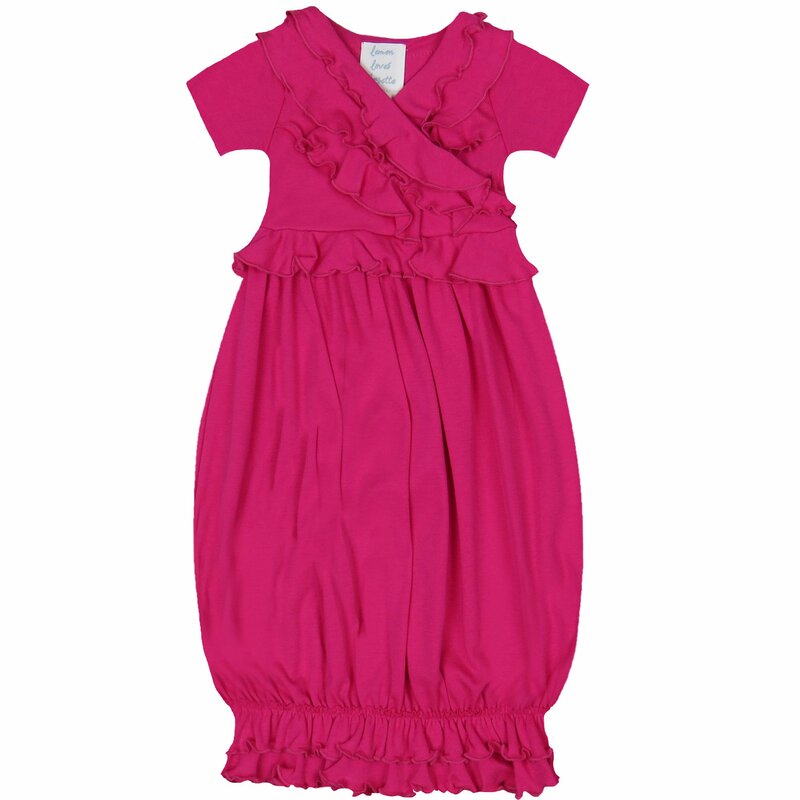 Gown is 100% cotton and features a cross-over ruffled bodice, which makes dressing your baby girl very easy. 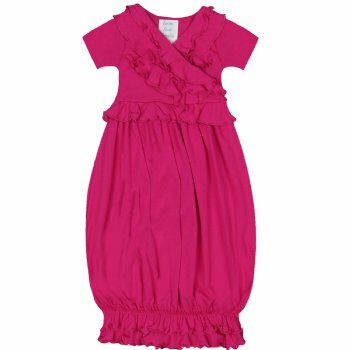 The newborn gown, in a beautiful and vibrant hot pink color, has ample room for baby's movements and will keep those little baby toes warm and cozy. A beautiful gown for newborns and babies that is picture perfect for baby's first photos! Add the matching headband for a great Take Me Home set, or just because it's so darn cute! Please Note: The "Jenna" gown below is the same gown but with long sleeves. Size: Select One 0-3 mos. 3-6 mos.